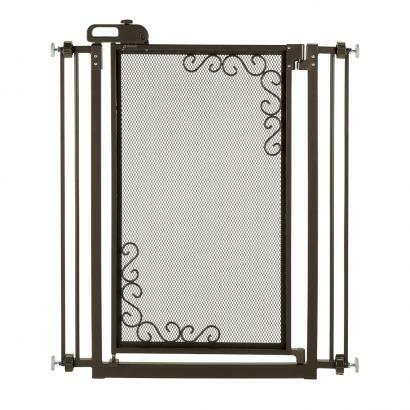 Crafted of durable metal and featuring an exquisite mesh screen, our Tall One-Touch Metal Mesh Pet Gate has a new luxurious look! 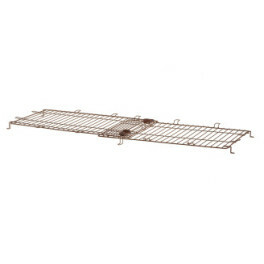 The tension-mount gate design stays firmly in place without damaging wall surfaces. 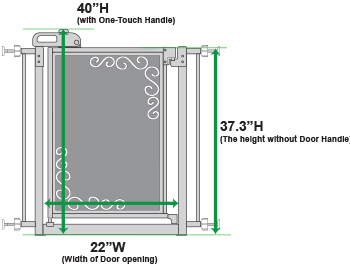 The single button, easy lifting door handle allows for the smooth opening of the mesh door in either direction with just one hand. 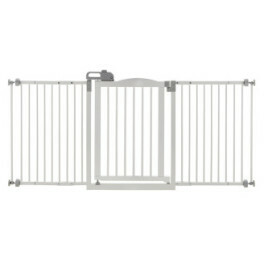 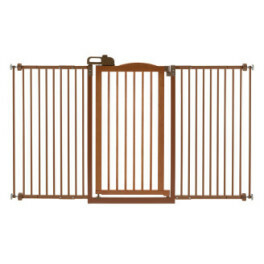 Easily carry items in one hand while opening the gate with the other. Add both ease of use and style to your home décor with the Richell Tall One Touch Metal Mesh Gate. This functional work of art comes in either Black or Antique Bronze. 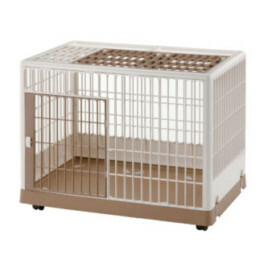 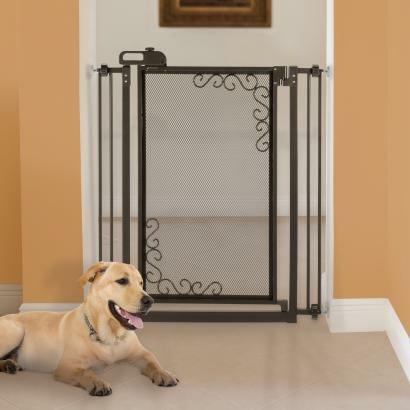 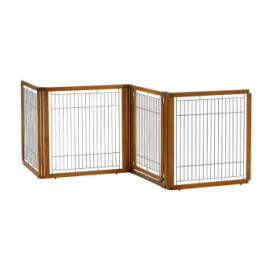 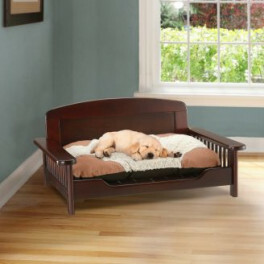 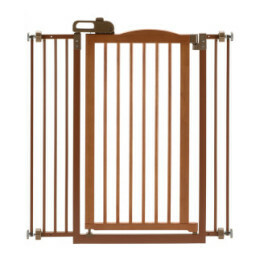 ● Fits doorway or hallway openings from 32.5-36.5"
● Recommended for dogs 8.8 - 88 lbs.